The day for our 86th Agricultural Fair was a good day for all, and we hope if any visiting grangers came that they had a good time and enjoyed the festivities. We know all the local people from town and the surrounding area all had a good time based on all the smiles we saw. We’re already at work planning next year’s fair. After a year off, we’re welcoming back Doug Shepherd as President for the next year, and our new Vice-President will be Dearta Fusaro. Bil Mikulewicz is taking over the helm of Programs and we’re excited for all the fun and interactive programs Bil has planned. John Kriz is going on the Executive Committee. Michele Clark and Don Offinger will continue in the roles of Secretary and Treasurer. Please note our meeting schedule. 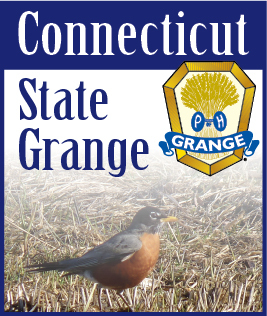 Meeting time is 7 PM at the Grange Hall. Visiting Patrons are always welcome -- won’t you join us?